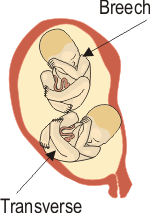 By around the 36th week of twin pregnancy the positions of twins in the womb will not likely change. This is generally because of the sheer lack of space to move around. 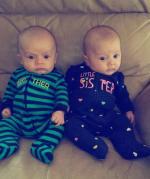 With the growing uterus at full capacity, there is not much room for two babies to continue switch positions. 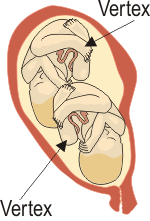 Here we have put together a simple visual guide to some of the different positions twins may take on during the course of pregnancy and how they may end up right before birth. This is an easy way to familiarize yourself with some of terms used to describe the various ways twin babies may present themselves. 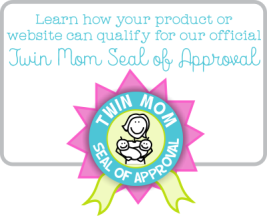 You will likely be having monthly ultrasounds with a multiple birth pregnancy, as is the general standard today. This will allow you and your doctor to keep track of the health of your babies, as well as their changing resting spots. 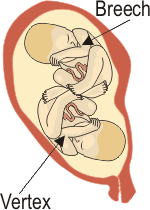 Some mothers experience highly active fetuses that move around a lot and others will have much less movement. 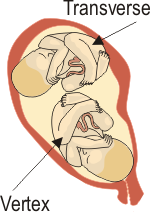 Often, the position of twins in the womb at the end of the pregnancy (36 to 40 weeks) will determine the type of birth, C-section or vaginal. You should fully discuss birthing options, as well as potential complications with your doctor or healthcare professional.